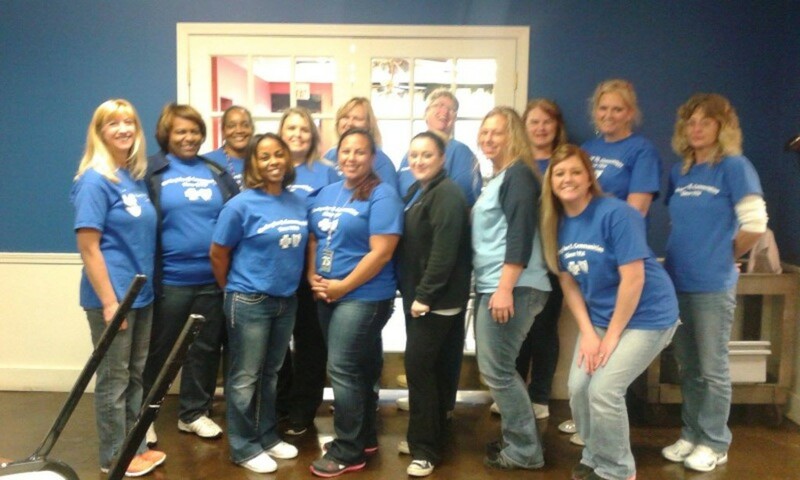 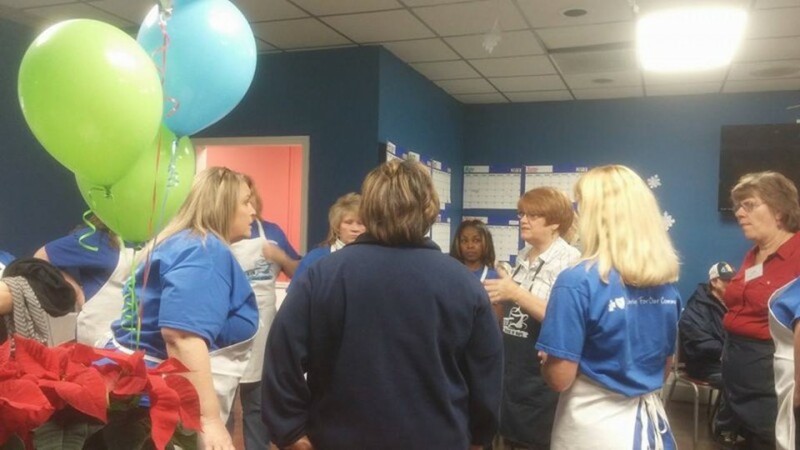 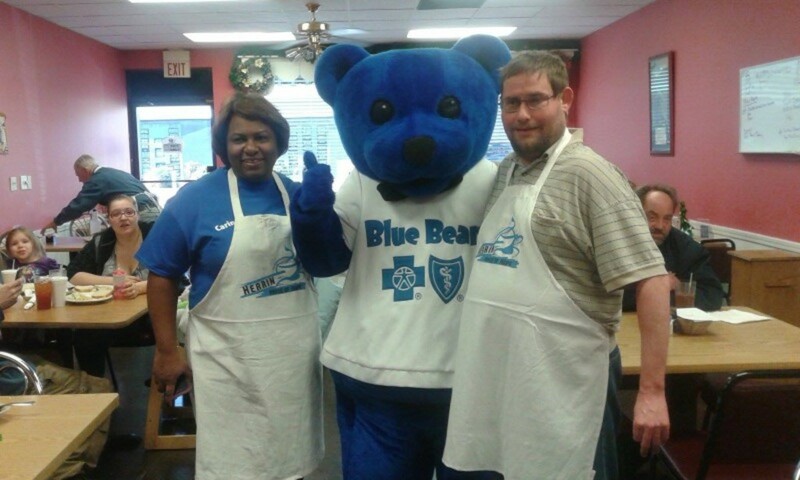 Blue Cross/Blue Shield were the Sponsor of the Day on Dec. 12th, 2014. 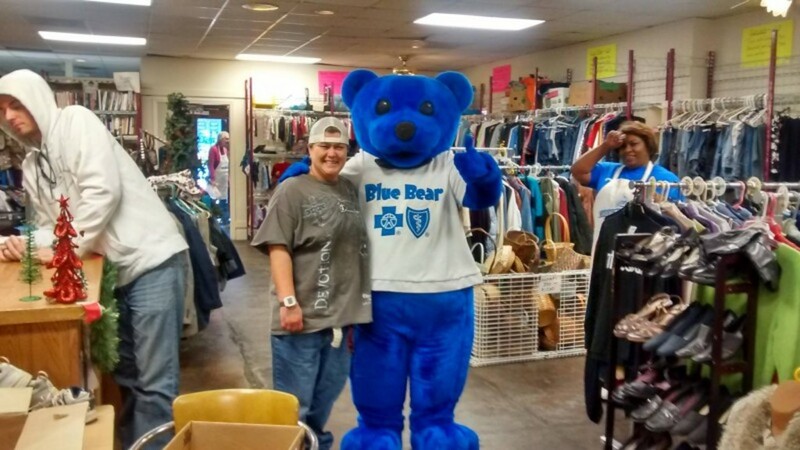 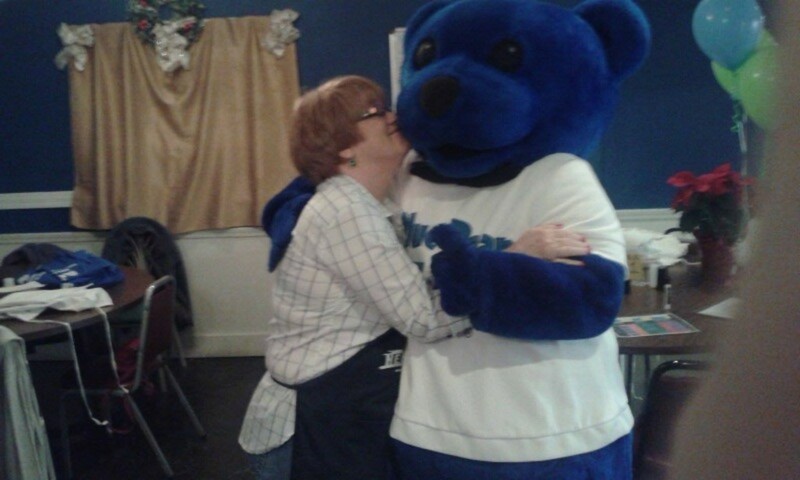 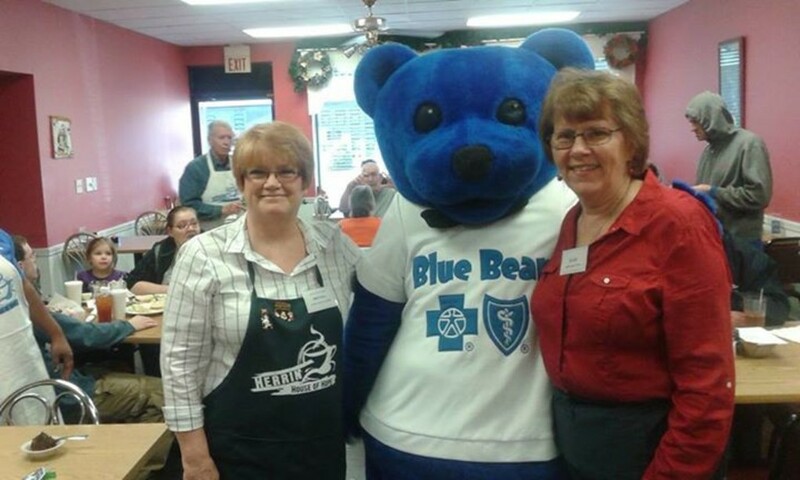 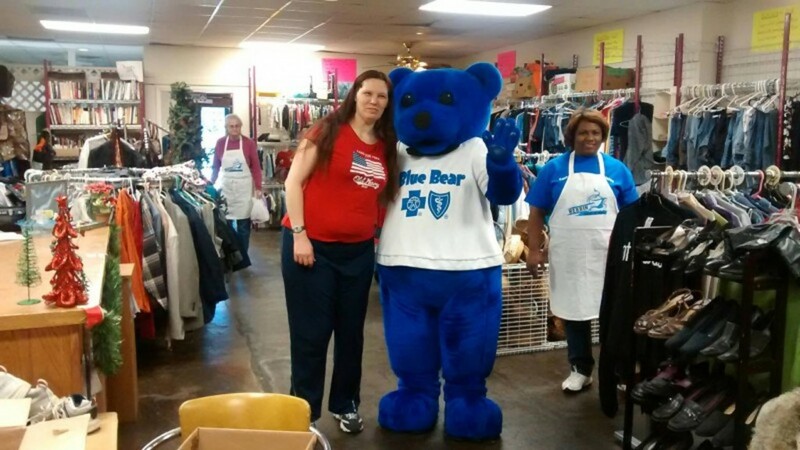 Thanks to BC/BS, all the Volunteers and Blue Bear! 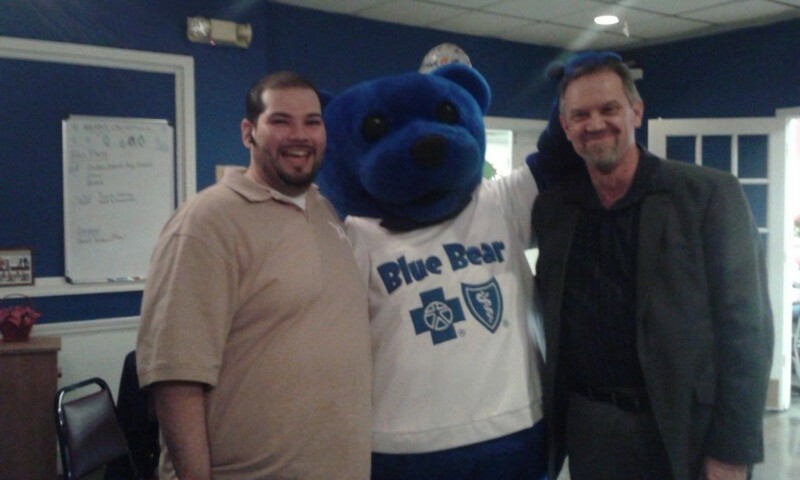 Pastor Mark and John with Blue Bear..can you say noggie!